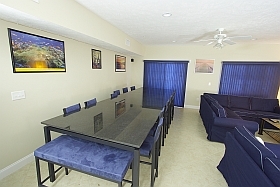 We offer luxury condo vacation rental in central Myrtle Beach for groups of up to 60 people. 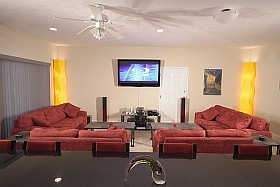 We have three 6 bedroom luxury vacation condo's at the Myrtle Beach Villas II (MBVII) complex. 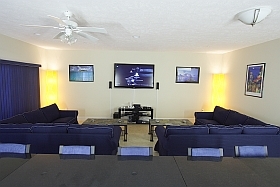 Centrally located, the complex was brand new in 2007, luxury condo's in Myrtle Beach. Pools, lazy river ride, whirlpools, game room in the unit and much more. We have THREE 6 bedroom condo's each with 6 pillow top king beds, 2 rooms have European style futons (close to queen size) and the living area has 2 queen sleepers. Each condo sleeps 12 very comfortably (in king size beds) and up to a maximum of 20 using the sleepers and futons.